Welcome to December and No Empty Chairs’ 9th Annual Twelve Days of Christmas Cookies Celebration! Twelve more days – Twelve more cookies. 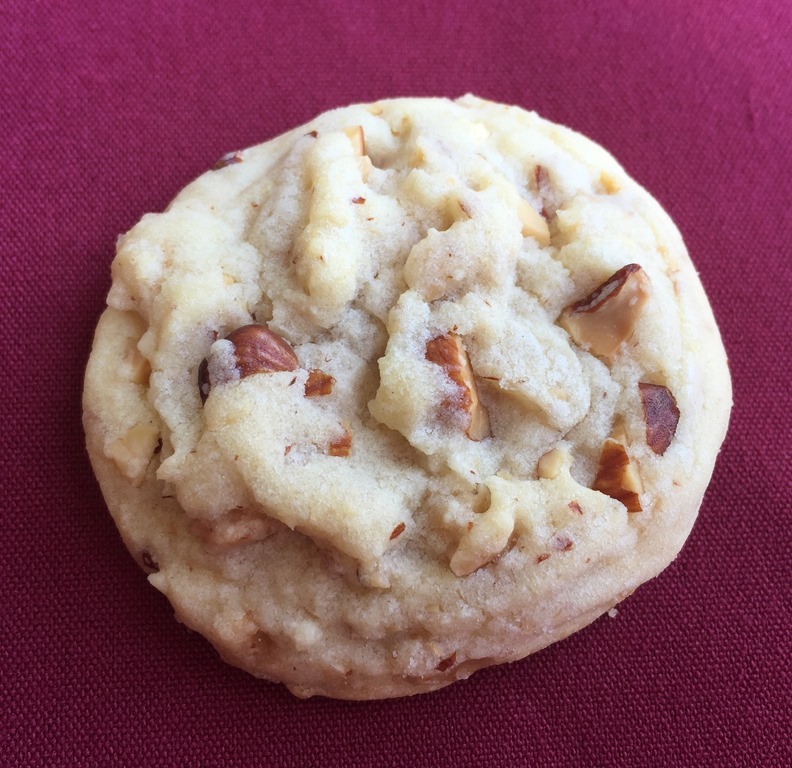 Similar to Pecan Sandies, but with the sweet, crunchy addition of caramel toffee bits. A new family favorite! Sharing cookies and treats is one of my favorite ways to show love during the Christmas season. 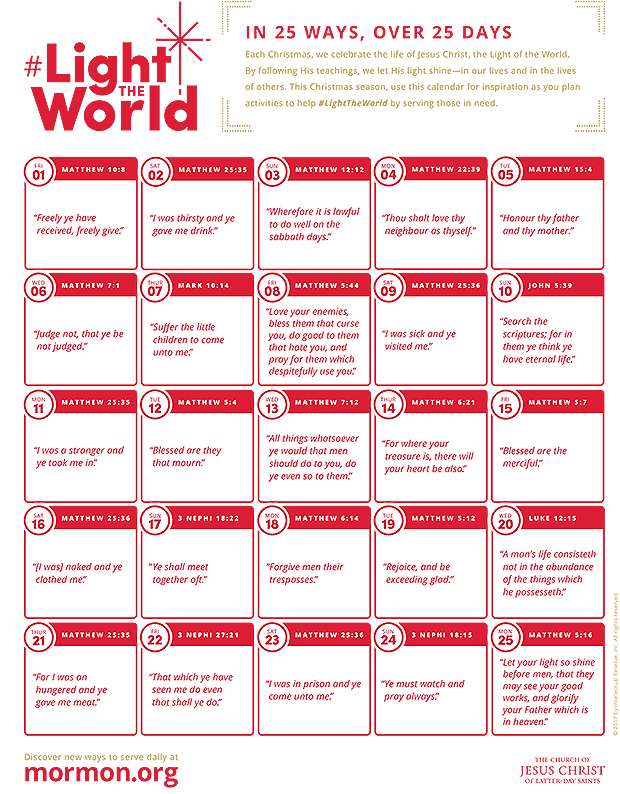 Another great tool to find ways to love and serve is this Light the World campaign. In a large mixing bowl, beat butter and sugars until light and fluffy. Add eggs, one at a time, beating after each addition. Gradually beat in oil and vanilla and almond extracts. Combine the flour, baking soda, salt””, and cream of tartar. Mix into the butter mixture gradually. 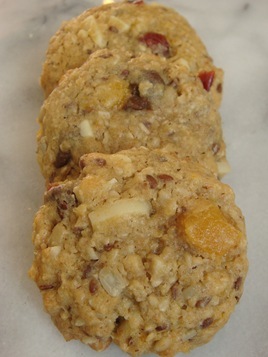 Add chopped almonds and toffee bits and mix well. Drop by tablespoonfuls onto ungreased baking sheets. Bake for 12-13 minutes, until bottom of cookies just begin to brown. Cool on wire racks. A soft chocolate cookie, baked and then topped with mini-marshmallows and toasted almonds; all held together by a chocolate ganache glaze. A rockier road never tasted so delicious! This recipe comes from Glorious Treats, with a few alterations. Preheat oven to 325°F. 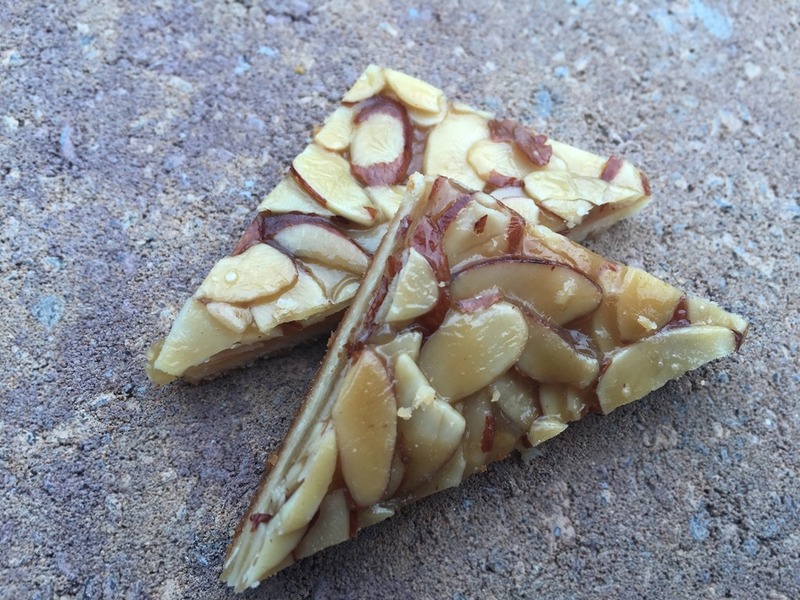 Coarsely chop the almonds, then spread onto a baking sheet and bake for 5-7 minutes. Set aside to cool. In a medium saucepan over medium-low heat, melt the butter and chocolate, stirring frequently. Set aside to cool slightly. In a medium bowl, whisk together the flour, cocoa powder, baking powder and salt; set aside. In the bowl of an electric mixer, beat the sugar, eggs and vanilla on low speed until well combined. Add the cooled chocolate mixture and blend until just combined. Add the flour mixture slowly and blend until just combined. Refrigerate dough for about 1 hour. Preheat oven to 325°F. Line baking sheets with parchment paper or silicone mat liner. Roll about 2 Tbs of dough in your hands to create balls. Arrange about 2 inches apart on baking sheets, then flatten slightly with the palm of your hand. Bake cookies about 10 minutes. Remove baking sheet from oven and immediately top each cookie with 5-6 mini marshmallows. Return the cookies to the oven and bake another 2 minutes. Cool cookies on pan for 2-3 minutes, then transfer cookies to cooling rack. Prepare cookie glaze by placing chocolate chips in a small bowl. Heat corn syrup and cream in a Pyrex measuring cup in the microwave for 30-40 seconds, until hot. Pour over chocolate chips in bowl and stir until melted. Place wire cooling rack (with cookies on it) over a sheet of aluminum foil or waxed paper (to catch any excess glaze). Use a spoon to drizzle a small amount of chocolate glaze over the marshmallows, then place a few chopped almonds on top. Then drizzle a second layer of icing over the nuts. Allow glaze to set before serving. Refrigerate cookies for 15 minutes to set glaze faster. 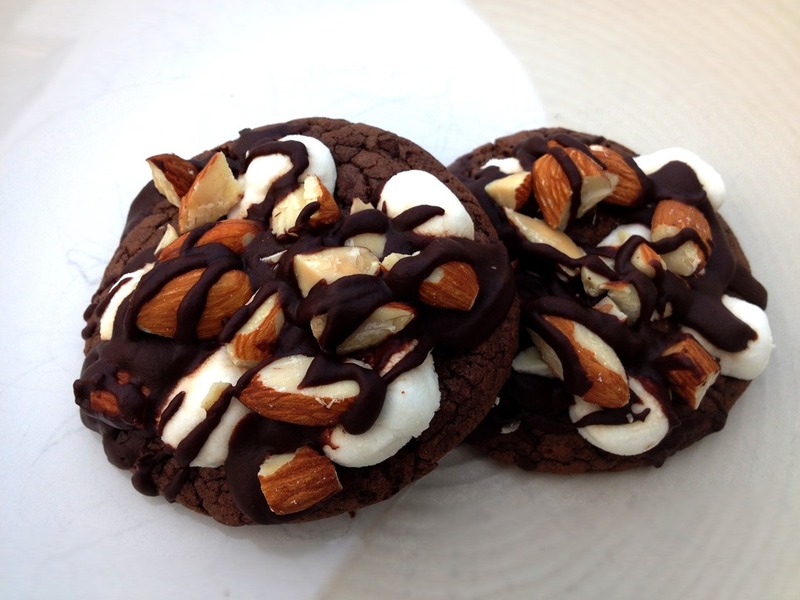 Chocolate cookies packed with chopped almonds, chocolate chips and dried marshmallow bits. Your favorite ice cream flavor in cookie form. Perfect with a tall glass of super cold milk. These are the marshmallow bits that are used to make these cookies. They are very small dried marshmallow bits. They are perfect for cookies because when they are cooked, they don’t melt like regular marshmallows. Don’t substitute real marshmallows in your cookie dough: they will melt all over your cookie sheets. These bits do tend to dissolve some if over-mixed, so add them last to your dough and only mix until barely combined. I like to reserve a few and press them into the tops of each cookie dough ball just before baking. Slowly add flour mixture to sugar mixture and mix until dough is smooth. 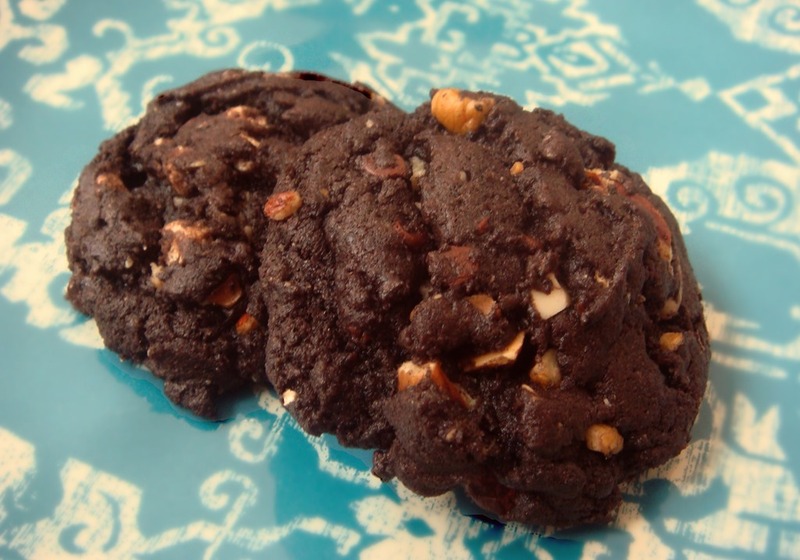 Mix in chocolate chips and chopped almonds. Gently mix in 1 cup Mallow Bits. Drop cookie dough by rounded tablespoons onto an ungreased baking sheet. Press a few mallow bits into the top of each cookie. 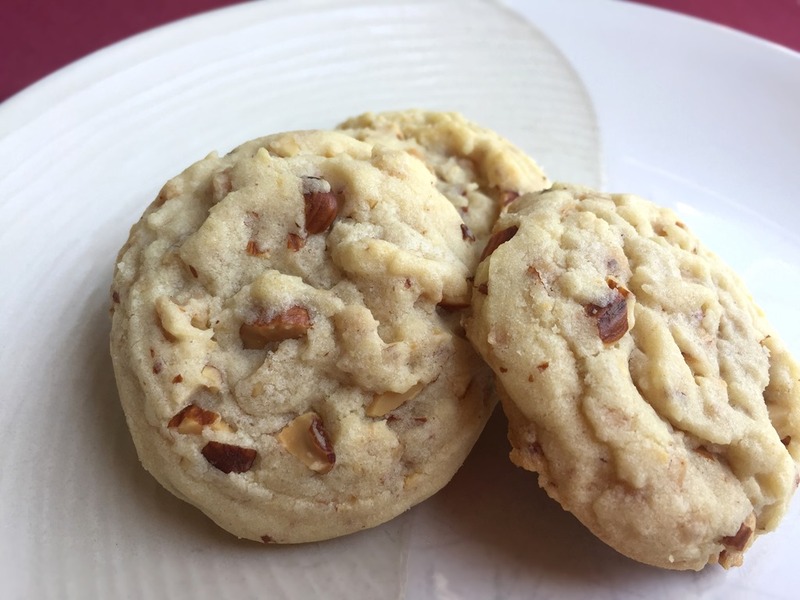 Blanched almonds are delicious in these Chinese Almond Cookies and are the basis for making almond flour. 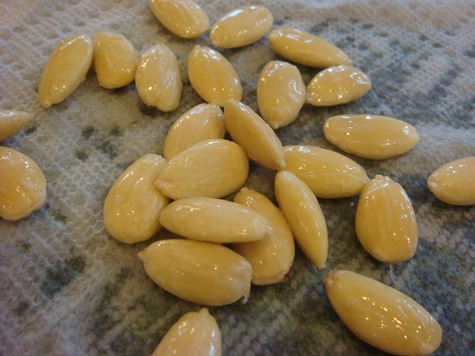 Blanched almonds sold in stores are extremely expensive, but you can easily make them at home. 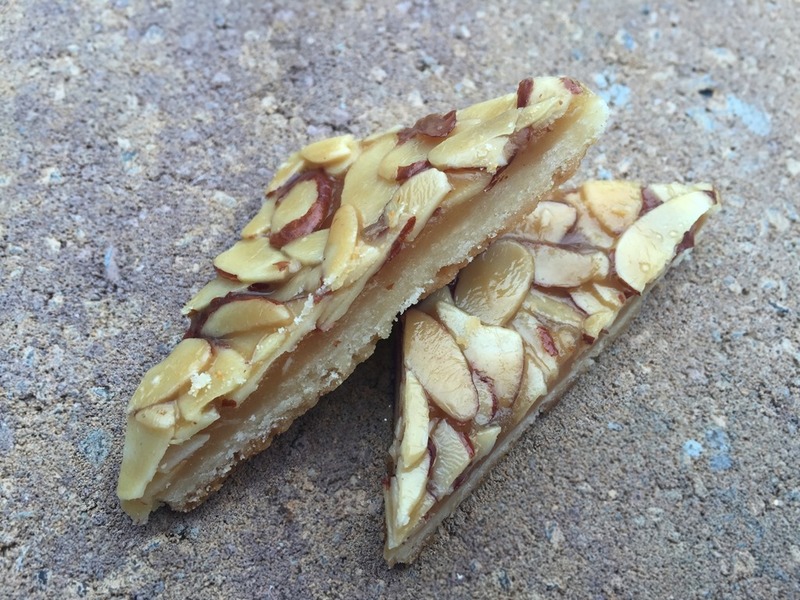 All you need is a bag of raw almonds. Bring a saucepan of water to a boil. Remove from heat. Add raw almonds to the hot water. Let sit for 1 minute (not longer). Drain and pour into a bowl of ice cold water. 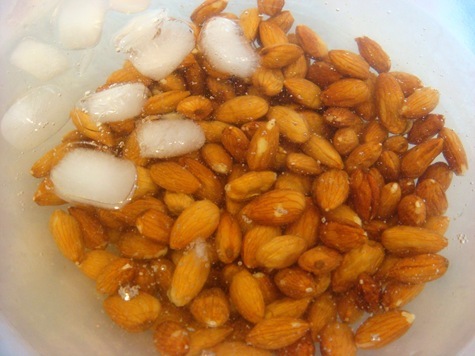 Leave almonds in ice water only until they are cool, about one minute. Drain. 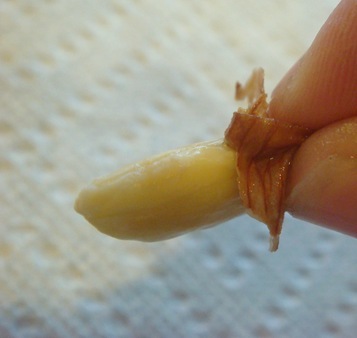 To remove the skins: pinch almonds between your thumb and index finger to slide the almond out of its skin. Pat dry. Allow to dry completely before using in recipes. 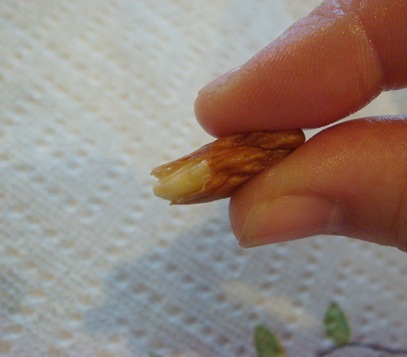 If you over-soak your almonds and they don’t dry properly: preheat oven to 200°F. Turn oven OFF. Place almonds on a baking sheet and put into the warm (but OFF) oven. 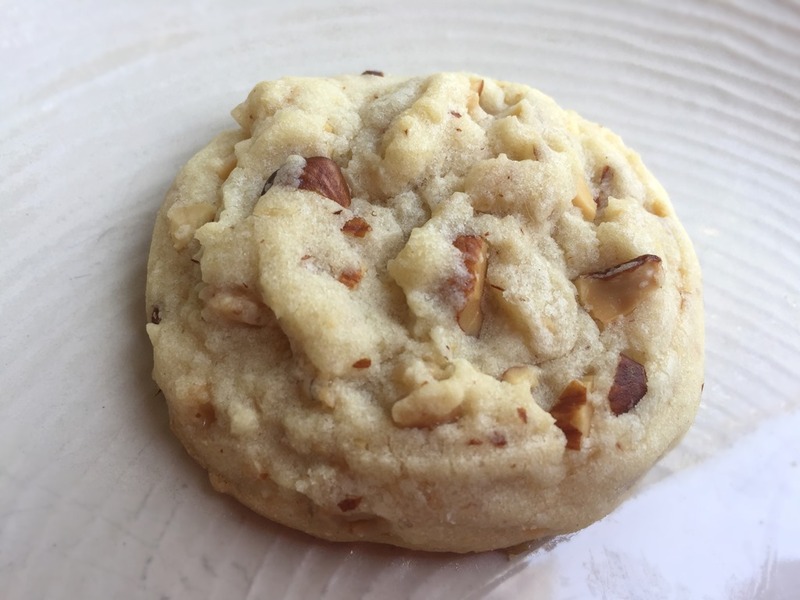 Leave almonds in the oven for 15-20 minutes. To make almond flour from your blanched almonds: place completely dry blanched almonds in a blender or food processor and blend until almonds form fine meal. 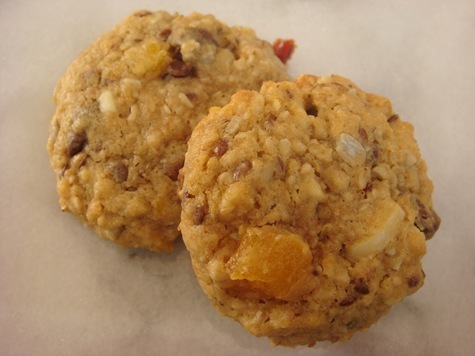 Blanched almonds are also great in cookies like these Chinese Almond Cookies. DAY 3: Chewy, chocolaty, nutty goodness. I didn’t have hazelnuts, so I substituted chopped almonds. They were really good, but next time I will use hazelnuts so that the Nutella flavor comes through stronger. Love Nutella? Try this Pumpkin Nutella Bread Recipe! Cream butter in an electric mixer for 3 minutes until light and fluffy. Add the sugars and Nutella and mix well, scraping down the sides of the bowl to ensure even mixing. Add the eggs, one at a time, beating for 30 seconds between each. Add the vanilla and mix for 10 seconds. Sift together the flour, cocoa, salt, and baking soda (do not skip this step as sifting eliminates clumps of cocoa). Mix into the butter mixture on low speed until fully incorporated, scraping down the bottom and sides at least once to ensure even mixing. 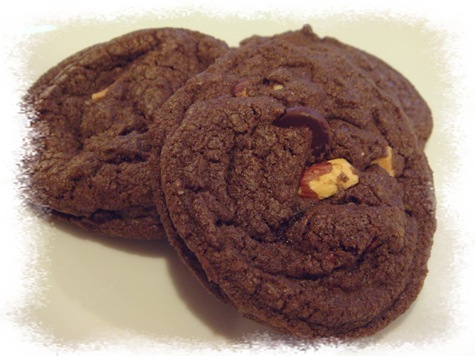 Fold in the chocolate chips and nuts and refrigerate the dough for ten minutes. Spoon tablespoon-sized drops of dough onto parchment paper lined cookie sheets. 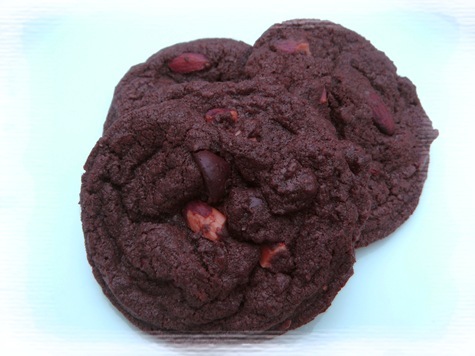 Bake at 350°F for 9-12 minutes (do not over bake; cookies will look slightly underdone). Allow to cool on the sheets for a minute or two before transferring to a wire rack to finish cooling. 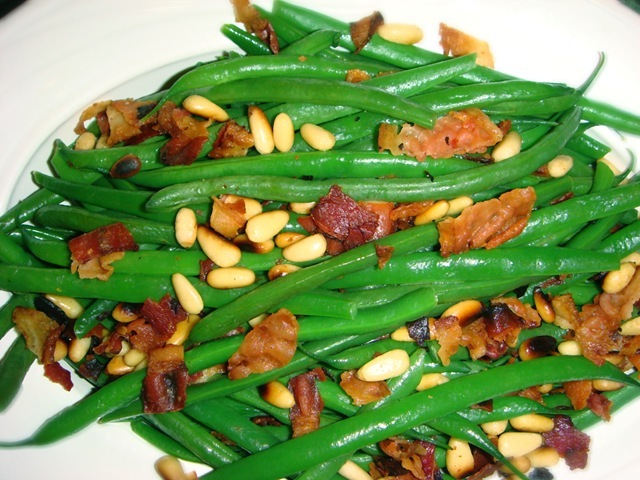 Green beans are one vegetable that everyone at our table will eat. That and broccoli. So I try to change up the presentation every now and again, so that it doesn’t look like we are eating the same vegetable every night. This is a simple to prepare side dish that pleases even my picky eater (she’s the one helping out below!). Start with enlisting the help of someone to wash and snap your fresh beans (even if she won’t look at you when you are holding a camera). 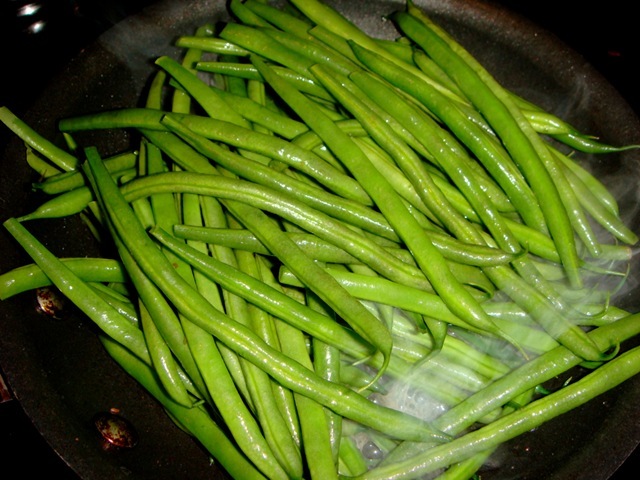 Wash beans and put into a pan with a small amount of salted water. Cover and cook until just barely crisp-tender. Drain beans and set aside. In the same pan, melt 1 Tbs butter. Add about 2 Tbs sliced or slivered almonds. Cook, stirring constantly, for about 2 minutes. Sprinkle almonds with a small amount of garlic powder. Continue cooking (and stirring) until garlic powder just begins to brown (don’t overcook). Add beans back to the pan and stir to reheat. 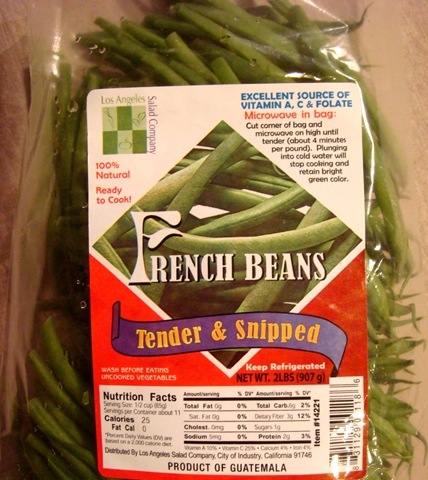 Wash and snap beans. Place in a pot with a small amount (about 3/4 cup) of salted water. Cover and cook until just barely crisp-tender. Drain and set aside. In the same pan, melt 1 Tbs butter. Add about 2 Tbs sliced or slivered almonds. Cook, stirring constantly, for about 2 minutes. 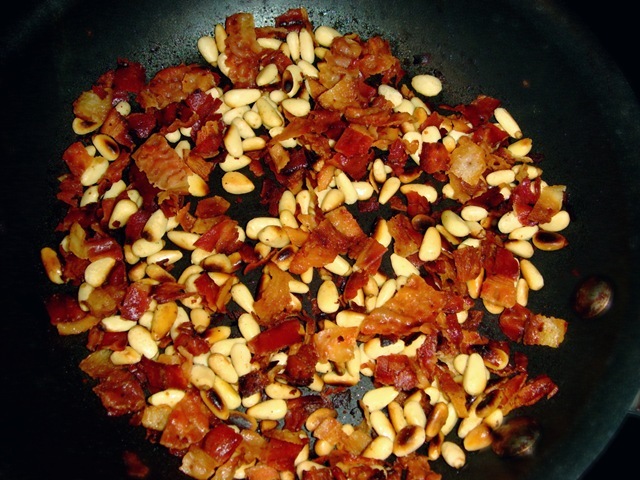 Sprinkle almonds with a small amount of garlic powder. Continue cooking (and stirring) until garlic powder just begins to brown (don’t overcook). Add beans back to the pan and stir to reheat.